When I came back from work on Saturday, my kids were over the moon! They had received the Toucan Box addressed to them (Izan, Scarlett and Nerea). Obviously they couldn’t wait to open the box and start their first craft activity. So, after lunch we decided to open the box and sit down all together and do one of the two activities included. They had a lovely time and they couldn't wait for the second part! 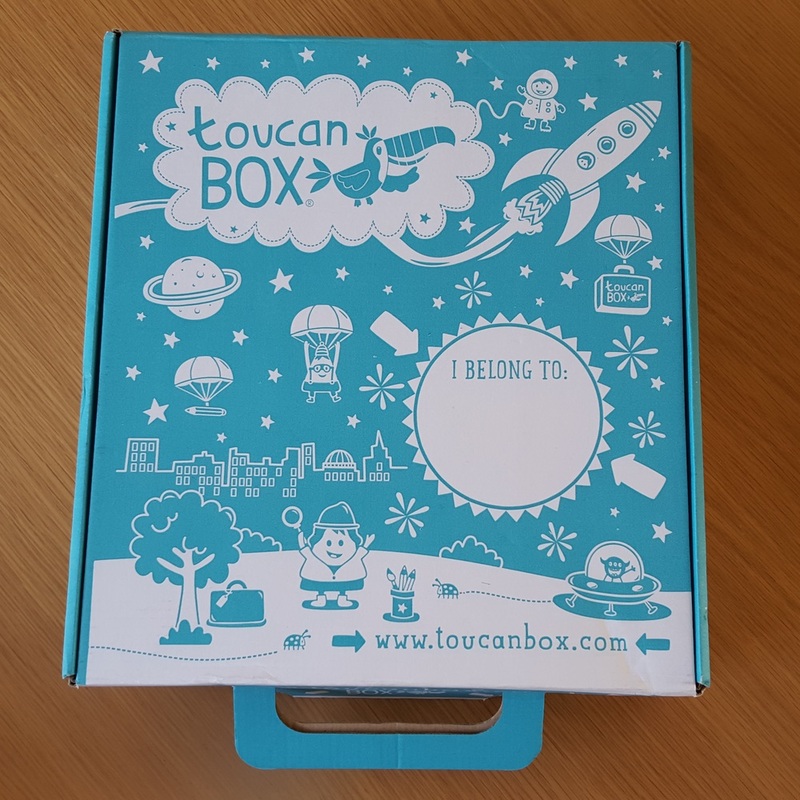 Here is my full review of the Toucan Box: a great idea for fun family time! Congratulations on the design of the box because it is absolutely great! It has a nice funky design in a blue colour with white drawings all around. The postal label has the name of your child/children on it, which is great and provides a little bit more of excitement! The box is made of a strong carton. On one side it shows all the materials included in the box to make the crafts. Honestly, you will be really impressed with the look of the box! It is perfect for the little ones. Inside the box you will find (in a well presented manner) everything you will need for your craft. Our box contained two little boxes (one for each activity), a nice story book, and everything you need (from paper to paints!). The first box we received is all about the Chinese New Year. The first activity we did was the Chinese Fireworks (we saved the second activity for another day). There is also a great book included with a lovely story about the Chinese New Year. Nerea, Izan and Scarlett were very excited with the “Chinese Fireworks”. Basically they had to colour a blank paper with coloured crayons, paint over in black paint, and once dried scratch in the Fireworks, then glue onto a frame. It was actually really good fun, and they thoroughly enjoyed doing it! One of the best things about the Toucan Box is that it comes with everything you need. Our box contained the black paint, crayons, glue, brushes, papers and all the other accessories you needed for successful crafting. The children also had one each of everything so no waiting around for one to finish with something before you can start! Our little ones had great fun and were very entertained crafting their first activity. We saved the second one, the “Chinese Lion Puppet”, for this week. There was also a beautiful book included with the box. My kids love reading so they were absolutely thrilled with it. Petite Toucan Box: £3.95 + £0.98 shipping. You will receive a box every 2 weeks and it contains all the materials you need for one activity (no story book included with the Petite). The Toucan Box subscription is very flexible and you can upgrade/downgrade or cancel your subscription at any time too. Get your free Toucan Box here. You will receive your first starter box for free (then you decide what to do with your subscription!). I think that’s a great way to share with your kids and see if they have good time crafting.